During World War II, many South Africans saw military service. The Union of South Africa participated with other British Commonwealth forces in battles in North Africa against Erwin Rommel and his Afrika Korps, and many South African pilots joined the Royal Air Force and fought against the Axis powers in the European theatre. The Union of South Africa is the historical predecessor to the present-day Republic of South Africa. It came into being on 31 May 1910 with the unification of the Cape Colony, the Natal Colony, the Transvaal, and the Orange River Colony. 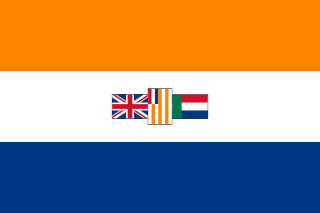 It included the territories that were formerly a part of the South African Republic and the Orange Free State. On the eve of World War II, the Union of South Africa found itself in a unique political and military quandary. 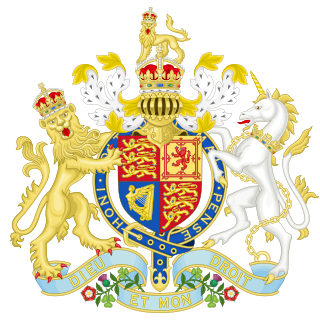 While it was closely allied with Great Britain, being a co-equal Dominion under the 1931 Statute of Westminster with its head of state being the British king, the South African Prime Minister on 1 September 1939 was J.B.M. Hertzog – the leader of the pro-Afrikaner and anti-British National Party. The National Party had joined in a unity government with the pro-British South African Party of Jan Smuts in 1934 as the United Party. Hertzog's problem was that South Africa was constitutionally obligated to support Great Britain against Nazi Germany. The Anglo-Polish military alliance obligated Britain, and in turn its dominions, to help Poland if attacked by the Nazis. When Adolf Hitler's forces attacked Poland on 1 September 1939, Britain declared war on Germany two days later. A short but furious debate unfolded in South Africa, especially in the halls of power in the Parliament of South Africa. It pitted those who sought to enter the war on Britain's side, led by Smuts, against those who wanted to keep South Africa neutral, led by Hertzog. On 4 September 1939, the United Party caucus refused to accept Hertzog's stance of neutrality in World War II and deposed him in favour of Smuts. Upon becoming Prime Minister, on 6 September Smuts declared South Africa officially at war with Germany and the Axis. Immediately, Smuts set about fortifying South Africa against any possible German sea invasion because of South Africa's global strategic importance controlling the long sea route around the Cape of Good Hope. John Vorster and other members of the pro-Nazi Ossewabrandwag strongly objected to South Africa's participation in World War II and actively carried out sabotage against Smuts' government. Smuts took severe action against the Ossewabrandwag movement and jailed its leaders, including Vorster, for the duration of the war. The Ossewabrandwag (OB) was an anti-British and pro-German organisation in South Africa during World War II, which opposed South African participation in the war. 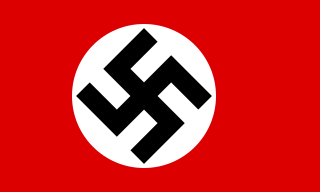 It was formed in Bloemfontein on 4 February 1939 by pro-German Afrikaners. Field Marshal Jan Smuts was the only important non-British general whose advice was constantly sought by Britain's war-time Prime Minister Winston Churchill. 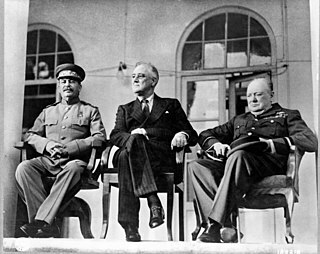 Smuts was invited to the Imperial War Cabinet in 1939 as the most senior South African in favour of war. On 28 May 1941, Smuts was appointed a Field Marshal of the British Army, becoming the first South African to hold that rank. Ultimately, Smuts would pay a steep political price for his closeness to the British establishment, to the King, and to Churchill which had made Smuts very unpopular amongst the Afrikaners, leading to his eventual downfall. Field Marshal Jan Christiaan Smuts was a South African statesman, military leader, and philosopher. In addition to holding various cabinet posts, he served as prime minister of the Union of South Africa from 1919 until 1924 and from 1939 until 1948. Although Smuts had originally advocated racial segregation and opposed the enfranchisement of black Africans, his views changed and he backed the Fagan Commission's findings that complete segregation was impossible. Smuts subsequently lost the 1948 election to hard-line nationalists who created apartheid. 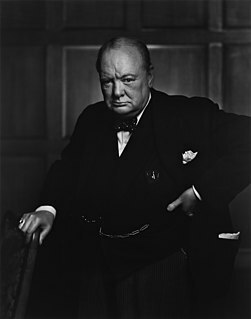 He continued to work for reconciliation and emphasised the British Commonwealth’s positive role until his death in 1950. With the declaration of war in September 1939, the South African Army numbered only 5,353 regulars,  with an additional 14,631 men of the Active Citizen Force (ACF) which gave peace time training to volunteers and in time of war would form the main body of the army. Pre-war plans did not anticipate that the army would fight outside southern Africa and it was trained and equipped only for bush warfare. One of the problems to continuously face South Africa during the war was the shortage of available men. Due to its race policies it would only consider arming men of European descent which limited the available pool of men aged between 20 and 40 to around 320,000. In addition the declaration of war on Germany had the support of only a narrow majority in the South African parliament and was far from universally popular. Indeed, there was a significant minority actively opposed to the war and under these conditions conscription was never an option. The expansion of the army and its deployment overseas depended entirely on volunteers. Given the country's attitudes to race at the time, the enlistment of fighting troops from the much larger black population was hardly considered. Instead, in an attempt to free up as many whites as possible for the fighting and technical arms, a number of corps were formed to provide drivers and pioneers, drawn from the more acceptable Cape Coloured and Indian populations. These were eventually amalgamated into the Cape Corps. A Native Military Corps, manned by blacks, was also formed for pioneer and labouring tasks. For some of their tasks, individuals were armed, mainly for self-protection and guard duties, but they were never allowed to participate in actual combat against Europeans. South Africa and its military forces contributed in many theaters of war. South Africa's contribution consisted mainly of supplying troops, airmen and material for the North African campaign (the Desert War) and the Italian Campaign as well as to Allied ships that docked at its crucial ports adjoining the Atlantic Ocean and Indian Ocean that converge at the tip of Southern Africa. Numerous volunteers also flew for the Royal Air Force. Another important victory that the South Africans participated in was the liberation of Madagascar from the control of the Vichy French. British troops aided by South African soldiers, staged their attack from South Africa, landing on the strategic island on 4 May 1942  to preclude its seizure by the Japanese. The South African 1st Infantry Division took part in several actions in North Africa in 1941 and 1942, including the Battle of El Alamein, before being withdrawn to South Africa to be re-constituted as an armoured division. The South African 2nd Infantry Division also took part in a number of actions in North Africa during 1942, but on 21 June 1942 two complete infantry brigades of the division as well as most of the supporting units were captured at the fall of Tobruk. The South African 3rd Infantry Division never took an active part in any battles but instead organised and trained the South African home defence forces, performed garrison duties and supplied replacements for the South African 1st Infantry Division and the South African 2nd Infantry Division. One of this division's constituent brigades — 7 SA Motorised Brigade — did take part in the invasion of Madagascar in 1942. The South African 6th Armoured Division fought in numerous actions in Italy in 1944–1945. Numerous South African airmen also volunteered service to the RAF, some serving with distinction. The 1st South African Infantry Division was an infantry division of the army of the Union of South Africa. During World War II the division served in East Africa from 1940 to 1941 and in the Western Desert Campaign from 1941 to 1942. The division was disbanded on 1 January 1943, for conversion into what would become the 6th South African Armoured Division. The division was also briefly active after the war from 1 July 1948 to 1 November 1949. The South African 2nd Infantry Division was an infantry division of the army of the Union of South Africa during World War II. 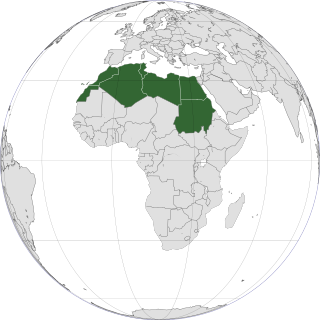 The division was formed on 23 October 1940 and served in the Western Desert Campaign and was captured by German and Italian forces at Tobruk on 21 June 1942. The remaining brigade was re-allocated to the South African 1st Infantry Division. The 6th South African Armoured Division was the second armoured division of the South African Army and was formed during World War II. Established in early 1943, it was based on a nucleus of men from the former 1st South African Infantry Division who had returned to South Africa after the Second Battle of El Alamein in late 1942. The division was initially transferred to Egypt for training, after which it served in the Allied campaign in Italy during 1944 and 1945. In Italy, the division was initially deployed as part of the British Eighth Army, under command of Lieutenant-General Oliver Leese, and was then transferred to the U.S. Fifth Army, under Lieutenant General Mark W. Clark, for the remainder of the Italian Campaign. The division operated as a strongly reinforced division and was frequently used to spearhead the advance of the Corps and Army to which it was attached. They returned home after the end of the war in Italy and were disbanded in 1946. The division was also briefly active after the war from 1 July 1948 to 1 November 1949. The Africa Service Medal is a South African campaign medal for service during the Second World War, awarded to members of the Union Defence Forces, the South African Police and the South African Railways Police. The medal was originally intended for service in Africa, but it was later extended to cover service anywhere in the world. The South African Irish Regiment is an infantry regiment of the South African Army. As a reserve unit, it has a status roughly equivalent to that of a British Army Reserve or United States Army National Guard unit. The Cape Town Rifles is an infantry regiment of the South African Army. As a reserve unit, it has a status roughly equivalent to that of a British Army Reserve or United States Army National Guard unit. The South African Overseas Expeditionary Force (SAOEF) was a volunteer military organisation in World War I. The military history of South Africa chronicles a vast time period and complex events from the dawn of history until the present time. It covers civil wars and wars of aggression and of self-defence both within South Africa and against it. It includes the history of battles fought in the territories of modern South Africa in neighbouring territories, in both world wars and in modern international conflicts. This is the history of South Africa from 1910–48. The 2nd South African Infantry Brigade was an infantry brigade of the army of the Union of South Africa during World War II. The Brigade formed part of the South African 1st Infantry Division and was formed on 13 August 1940. It served in East Africa and the Western Desert and was disbanded on 1 January 1943. The 5th South African Infantry Brigade was an infantry brigade of the army of the Union of South Africa during World War II. The Brigade formed part of the South African 1st Infantry Division and was formed on 13 August 1940. It served in East Africa and the Western Desert and was disbanded on 1 January 1943. 3 Squadron SAAF was a squadron of the South African Air Force. It was formed in January 1939 at Air Force Base Waterkloof and was equipped with Hawker Hartbees I and Hurricane Mk II aircraft. The squadron was moved to Port Elizabeth in September 1939 after which it was disbanded. It was again reformed at Waterkloof on 9 September 1940 equipped with Hurricane Mk 1s. 11 Squadron was a World War II squadron of the South African Air Force. It was created in South Africa in 1939 and served in East Africa until 1941 as an army cooperation and reconnaissance squadron. It was re-formed in 1944 as a fighter bomber squadron and served in Italy until 1945 when it returned to Egypt and was disbanded on conclusion of the war on 30 October 1945. It was re-activated in 1974, flying Cessna 185s as an army liaison squadron until 1991 when it disbanded for the final time. The Union Defence Force (UDF) was the military force of the Union of South Africa from 1 July 1912, when the Defence Act took effect, two years after the creation of the Union of South Africa, until 1957 when it was reorganised and renamed the South African Defence Force. The involvement of the British Colony of Kenya in World War II began with the declaration of war on Nazi Germany by the British Empire in September 1939. No. 8 Wing SAAF was a South African Air Force commanded formation during World War II that served in Italy, the Balkans and the Mediterranean Theatre. It was formed on 25 July 1944 and consisted of Royal Air Force and South African Air Force squadrons under South African command. MAAF on 13 June 1944 asked the SAAF to reman immediately a new defensive fighter wing HQ to embrace No. 3 Squadron, No. 11 Squadron and No. 41 Squadron. By 22 June the request had been approved. Col "Rosy" du Toit opened the new office for the Wing in the SAAF Headquarters building in Bari on 16 July 1944. HQ 8 Wing would also take control of No. 87 Squadron RAF and No. 185 Squadron RAF Lt-Col D.D. "Snowy" Moodie was appointed Sweep Leader of the new Wing. On 25 July 8 Wing came under administrative control of Desert Air Force. 8 Wing Headquarters moved from Foiano to Borghetto on 10 September 1944. where the two RAF squadrons joined the Wing, together with RAF No. 53 RSU. By the end of September, a it became clear that the end of the war was not at hand, the SAAF had two fighter-bomber Wing operating in Europe simultaneously for the first time. 1 2 Wessels, Andre (June 2000). "The first two years of war: The development of the Union Defence Forces (UDF) September 1939 to September 1941". Military History Journal. 11 (5).